It turns out that Rep. Alexandria Ocasio-Cortez’s Green New Deal (GND) isn’t so popular after all. In a Senate resolution vote this week, not one senator– not even the Senate bill’s chief sponsor Ed Markey, D-Mass. — voted in favor of it. Aside from a couple of centrists who voted no, most Democrats demonstrated they don’t have the courage of their convictions by dodging the issue and merely voting “present” when their names were called. The same Democrats tried to justify their lack of affirmative votes by making excuses about the process being rushed, and lacking customary hearings and procedures. 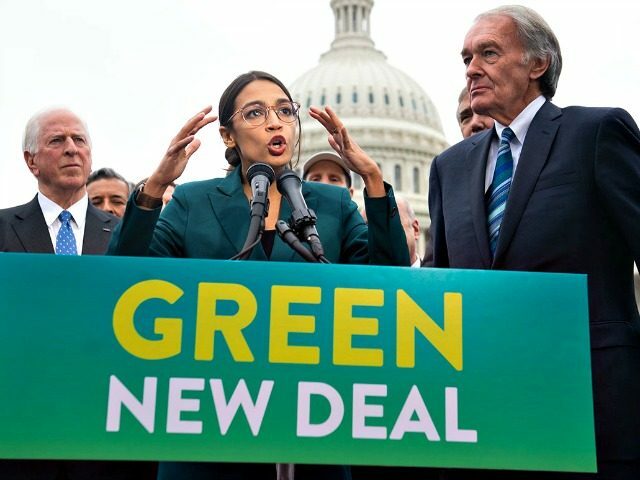 “By rushing a vote on the #GreenNewDeal resolution, Republicans want to avoid a true national debate & kill our efforts to organize,” Markey tweeted in February. Markey called the vote “sabotage.” Right, because being asked to advance your own legislative proposal is sabotage.